Back from the Camino de Santiago and it was a truly unique travel experience. Each day settled into a comfortable schedule-wake up before dawn, walk 25-30 kilometers, get to the hostel, wash dirty clothes, buy groceries, eat, chill, eat, sleep, repeat. The daily schedule was the only thing that remained constant throughout the trip as each day brought completely new and gorgeous landscapes, surprises, challenges, and memories. After 16 days we made it to Finisterre (Roman for end of the world) and watched the sun meander into the sea on a rocky point with two bottles of wine, big bocadillos, the company of our new Belgian buddy, Rick, a wild lizard, and a herd of nearby goats. Perfect way to end the trip. Been yearning to write again and to keep this blog moving. Although music was not as much part of the Camino as I thought, as the soundtrack to the walks were mostly birds, long conversations with my girlfriend and my sister, and the constant "Buen Camino" to passing walkers and bikers, sometimes music was the perfect thing to help me get through those last few uphill kilometers on a tough day. 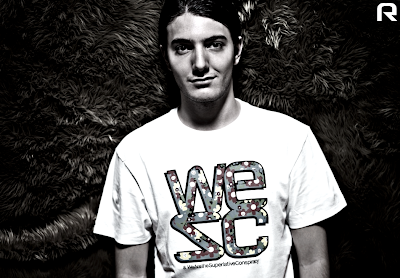 The track that was my sonical Red Bull was this remix by Alesso, a seriously up and coming Swedish artist. The perfect summer jam, I kept coming back to this when I needed a personal dance party to forget the sore muscles in my shoulders and the blisters on my feet. Really happy to be back. Come back every day this weeks for great new jamandahalfs.